This cultural diversity between Somaliland and Somalia is the root of the problem that Somaliland has with the Italian-Somalia. And it is the main reason why Somaliland has broke away. Somaliland culture is unique and can never fit to that of the South Somalia. In this writing we are answering two important questions. a)What constitutes the uniqueness of Somaliland culture?, b) The root of the problem between the two countries. By definition a Culture is: " A way of life fashioned by people in their collective endeavour to live and come to terms to their total environment. It is the sum of their believe,. art, objects and material which they make and use. It is their science and all their social institutions including their believe and rituals." Like any other culture three main aspects constitute the uniqueness of Somaliland culture: a) The materials and objects which we produce and use. b)The values of our culture, c) The norms and social rules that we have to observe daily. Sociologist and anthropologists proved that all these three are different from that of the Italian Somalia. The material and objects Somaliland people produce and use are one significant evidence of the borderline between the two cultures. The material and tools we produce and use, for farming and animal husbandry are totally different from that of the Somalia. Also, the names, shapes and cultural meaning of the material used for building the traditional Somaliland homes are unique for us. Another thing that differs us from Somalia are the types and testes of food. The home made objects for food preparation and food processing are 100% different from that of Somalia. Another important element that shapes Soamliland uniqueness and separates Soomaliland from Italian-Somalia are the social, spiritual and material values of our culture. The values of our culture are often expressed through our rich literature(poems and songs),dances, folk-tales, drawings, sayings, proverbs, ways of delivering speeches, ways of solving problems, marriage processes and many other social activities. Over the years those varieties of social activities have come to symbolize, the meaning of our culture. What is valued and honoured in Somaliland are not practically respected in Somalia this is the root of the problem between Somaliland and Somalia and the border-line between the two Cultures. For the last 20 years and so, no single value was respected in Somalia neither my culture was ever respected. There are Social values that stops me from piracy, from oppressing and looting minority, from preaching International agreements, from terrorism and so on. Values like fairness, calming the community tensions, stopping the bloodshed, honouring and respecting the positive poets, language fluency, hating the crime, respecting and listening the religious leaders, elderly and clan leaders, protecting the rights and the property of the minority, ways of wealthy acquiring, respecting the other cultures these and thousands of others are the values that shapes the uniqueness of Somaliland people. They are the permanent markers of the borderline between the two cultures. It is The Uniqueness that brought peace and stability for Somaliland. It is the uniqueness that laid foundation for Somaliland democracy. It is the uniqueness that gave our broad literature a supremacy on all other somali speakers. It is the uniqueness that privileged me to lead the trade of the horn of Africa for thousands of years( until 1977 99.9% the only Somali millionaires were from Somaliland - fact). Another crucial point that needs attention is the truth that Somaliland regained its independence with long struggle and a lot of blood shed, but within short period of time , Somaliland proved its uniqueness to Africa and beyond. Facts speak themselves. Somaliland abolished Socialism and dictatorship and adopted democratic system long before Arab spring and turned its people into democratic Society. with peace and stability Somaland democratically elected 4 governments who peacefully transferred the power. Within these short period of time Somaliland also became economically self-sufficient. What Somaliland contributed to the rest of Somalia can reflect the richness and broadness of our culture but the weight of my contribution and the benefit are not balancing each other. It was Hargaisa were Somali Music was founded and practically played. it was Somaliland who sacrificed their state and united to Italian Somalia in search of greater Somalia. It was Somaliland literature that was taught in every Somali school without respecting the Values and norms it represents. What we benefited from the Italian-Somalia is deep rooted hate and racially motivated aggression and brutality by which Somali national army of Siyad Bare government destroyed every city in Somaliland territory and claimed the lives of more than hundred of thousands of people. The secret element about this statement is I am being hated because I am culturally different from Somalia. In conclusion, this piece of personal research is only a tip of an ice berg. An in-depth research is under way and more prove and many evidence about the diversity of the two cultures and the root of the problem of the two countries will soon be published by some Somaliland universities (the topic may also attract the research students in many international leading universities if Somaliland government can afford the sponsorship). But at least figures add up, in this small piece of research. Of that Somaliland people are unique. Of that this it is not only a scientifically proven by sociologist and anthropologists that Somaliland culture is diverse and completely different from that of the Somalia, but this diversity is the root of the problem between the two countries. Of that 1980s brutality and racially motivated aggression by which nearly 100,000 Somaliland people were masacrered and every city in Somaliland territory were destroyed is another scientific prove that the two cultures can never fit together. Further analysis to these scientific facts reveals the richness and broadness the culture of Somaliland people. Today Somaliland stood with its two feet. 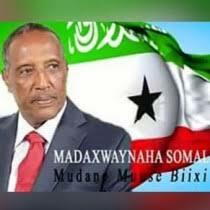 with peace and stability Somaliland democratically elect government every 5 years. They adopted and practically applied free trade policy. They are economically self sufficient. We believe Somaliland have much more to contribute to Africa, and the rest of the world. Again and again we are saying the United kingdom and the United States of America, should not ignore the tragic facts of of 1980s and the present achievements of Somaliland people, and thus grant their recognition. Sorry Somaliland is unique. Sorry our culture cannot fit to Italian-Somalia. Grant our recognition. --- Posted by A/rizak M.